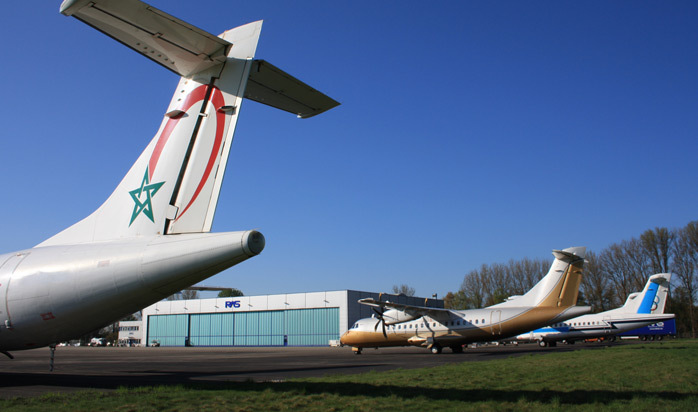 Our main facility for ATR maintenance is conveniently located at Düsseldorf-Mönchengladbach Airport (EDLN, MGL) in Germany. You will appreciate its 35,000m² apron and storage parking availability. The large, floor-heated 4,200m² hangar will allow us to handle six more ATR 72 aircraft. Our new 4,300m² hangar will allow us to handle six more ATR aircraft, plus add 350m² of new office space and 700m² more for shops and storage. The impressive facility already includes a paint shop and workshop space for ATR maintenance. 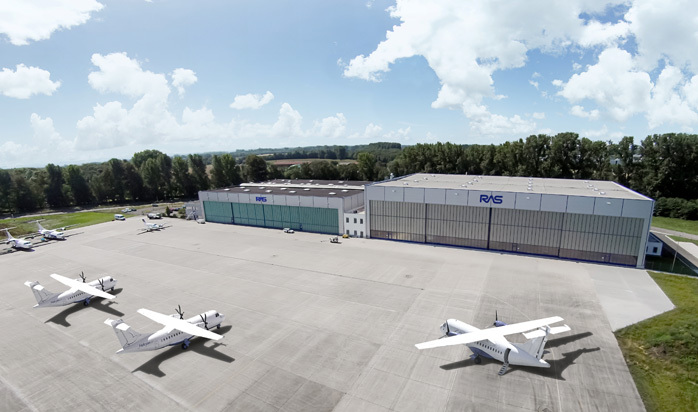 RAS also offers aircraft into-plane fueling services at the airports in Düsseldorf Weeze (NRN, EDLV), Frankfurt International (FRA, EDDF), Mönchengladbach (MGL, EDLN), Frankfurt Hahn (HHN, EDFH) and Stuttgart (STR, EDDS).